I recently moved & became a Midtown city gal, and with that comes so many new places to explore in this neighborhood of mine. In the coming months, I can’t wait to highlight different areas around my new home with you all, so you can experience them with me too! In this first post, I wanted to share my new favorite walk & stop with you guys. 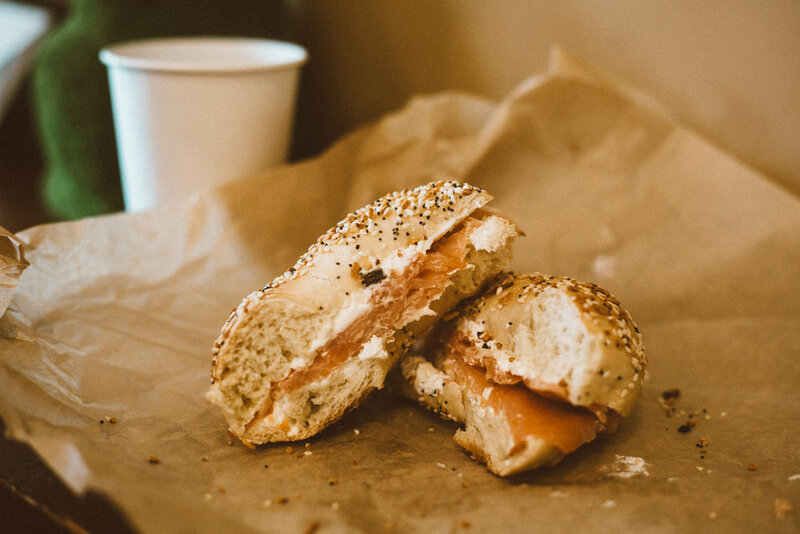 Enter, the Meshuggah Bagels + Downbeat Coffee combo! I kind of figured living by a bagel shop could be trouble, so I made myself a compromise; If I walk, I can bagel to my hearts content. Seems like a fair trade, right? 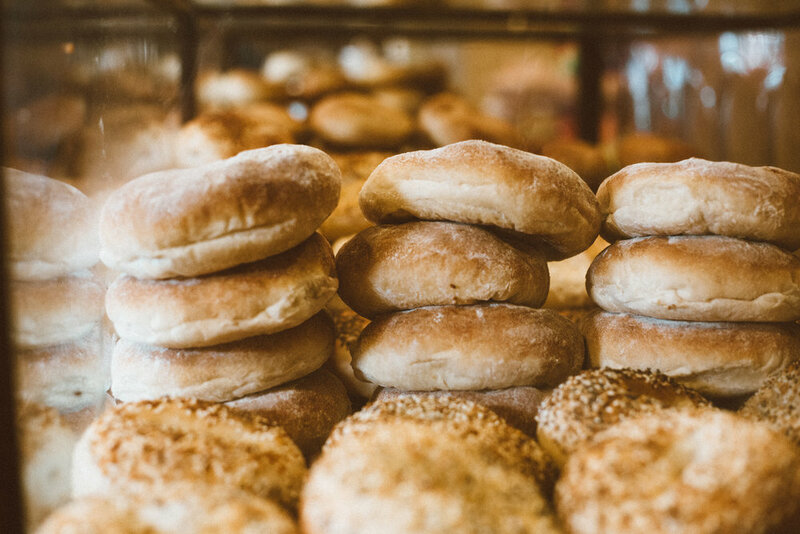 Meshuggah’s main goal is ‘Bringing New York to Kansas City, One Bagel at a Time,’ which is something I can definitely get behind. With three locations down, (and a fourth to come in the Power & Light area), its safe to say they are well on their way to bringing that mission to life! My tried & true combo as of late is the everything bagel, with rosemary & garlic cream cheese. If you’re feeling fancy, I highly recommend adding smoked salmon to the mix! Across the parking lot you can find a quaint little coffee shop at the top of an old house called Downbeat! This spot is such a gem. Not only can you hang out & listen to records, but you can also shop them too. 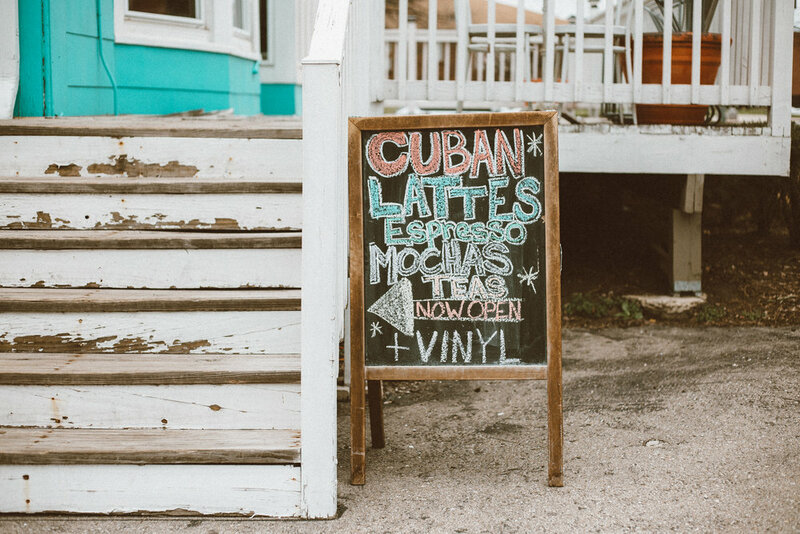 Downbeat hosts events throughout the month, like 3rd Friday Live Jazz, and their specialty brew of a Cuban latte is SO good! I highly recommend checking them out the next time you’re in the neighborhood. Here’s to the first edition of many through Midtown! I can’t wait to continue to explore this part of the city with you again next month.